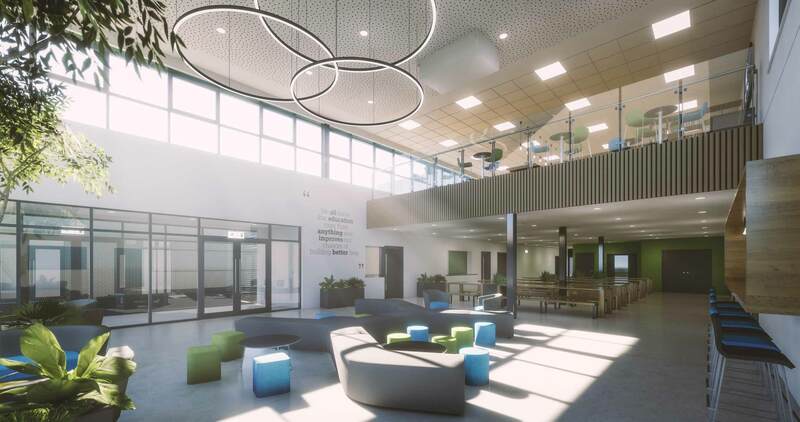 A 450 place Sixth Form centre incorporating the refurbishment of an existing single storey building, together with a new build 2 storey highly flexible learning hub. Working closely with the School community, the design was developed to provide much needed social and informal learning spaces for the sixth form together with dining facilities, a flexible auditorium and classrooms. The transformative building has been designed to better reflect the ethos of the school, delivering a more effective and engaging learning environment, using a glass façade to put the Sixth Form on display and create a sense of pride and aspiration for the rest of the School and the wider community.